Famous landmarks in San Juan are Del Moro Castle, San Cristobol Castle, the Legislative Assembly and Tapia Theatre. 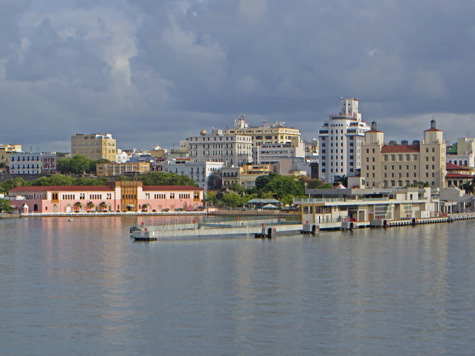 Other popular San Juan tourist attractions include historic buildings, museums, art galleries, beaches and plazas. In addition to a large cruise port, San Juan has a free trolley bus service, good public transit and hop-on hop-off tour bus sevices. The San Juan Airport (Luis Muñoz Marín International Airport) is the largest airport in the Caribbean. Interactive maps are available for San Juan, the island of Puerto Rico and the entire Caribbean Region. Excellent hotels are available in downtown San Juan, Old San Juan and at the beach resorts located east of the city center.